BROOKLYN (WABC) -- A relative pleaded guilty to the violent murder of a Brooklyn mother and her four children with a meat cleaver. Mingdong Chen, the 27-year-old cousin of the woman's husband, confessed in court on Wednesday. "Today's outcome guarantees that this dangerous defendant will never be on the streets again," District Attorney Ken Thompson said. "It also brings some peace to a devastated family and spares them from reliving this horrific tragedy at trial." According to the investigation, victim Qiao Zhen Li called her mother-in-law in China on Oct. 27, 2013, stating that Chen was threatening her and her family. Children could be heard crying in the background before the call ended. The mother-in-law had alerted relatives in Brooklyn who rushed to the apartment. Chen had been living with the family in their Sunset Park apartment for about two weeks before the murder. When the other relatives arrived at the apartment they encountered Chen covered in blood from head to toe, and they held him down until police arrived. The five victims - Li, 37; Linda Zhuo, 9; Amy Zhuo, 7; Kevin Zhuo, 5, and William Zhuo, 1 - were repeatedly stabbed and slashed in the throat and neck. Their bodies were found strewn about the house, police said. DA Thompson said they were killed with a cleaver. When detectives questioned him, Chen told them he was jealous of the success of his fellow Chinese immigrants, police said. Relatives said he had been fired from different restaurant jobs. 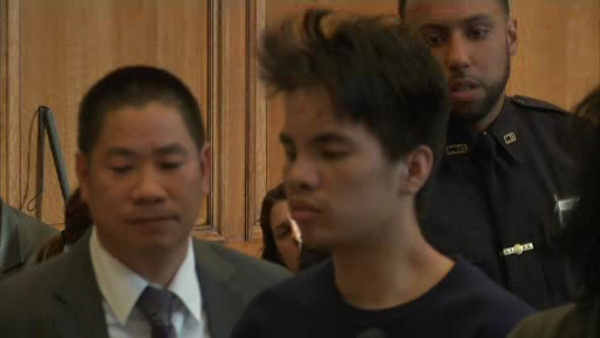 In 2014, a Brooklyn judge ruled that Chen was not competent to stand trial because he had exhibited signs of mental illness that made him incapable of being able to assist in his own defense. Chen pleaded guilty to three counts of second-degree murder and two counts of first-degree manslaughter. He faces life in prison when he is sentenced in two weeks.